Dubai: Over 200 students have been trained by Dubai Police to become ‘Safety Ambassadors’ to patrol campuses and report incidents of bullying and abuse at their schools, according to an official. Part of an initiative to improve safety in the classroom, Dubai Police have trained students, who were drawn from 18 government and private schools, to report any illegal activity. According to Dubai Police, the safety ambassadors will patrol the school and report cases of violence, negligence, abuse and bullying the schools’ management as well as raise awareness among students on how to contact the Women and Children’s Department of Dubai Police if they become victims of such crimes. Brigadier Mohammad Abdullah Al Murr, Director of the Human Rights Department at Dubai Police, said the programme target students from the age of six to 16. “The programme aims to support children and protect them against any harm or violence,” said Al Murr. “The ambassadors educate fellow students about their rights and what to do if they face violence, negligence and abuse,” he added. Meanwhile, Fatima Al Beloushi, head of the awareness section at the Women and Children’s Department of Dubai Police, said students who went through the workshops were educated on their rights and what to do if they were victims of any crime. “We will expand the programme to more schools,” said Al Beloushi. 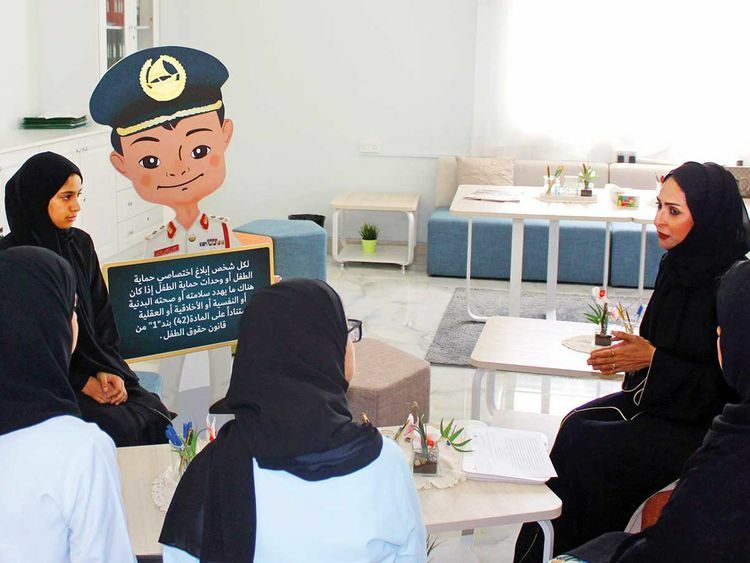 Dubai Police said that students chosen for the programme had the skills to understand the issues at hand and were in a position to educate others on their rights.